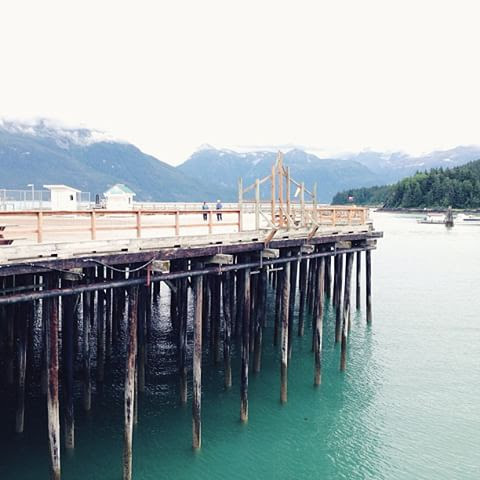 Move to Juneau Part 2 ↠ Haines, Alaska. 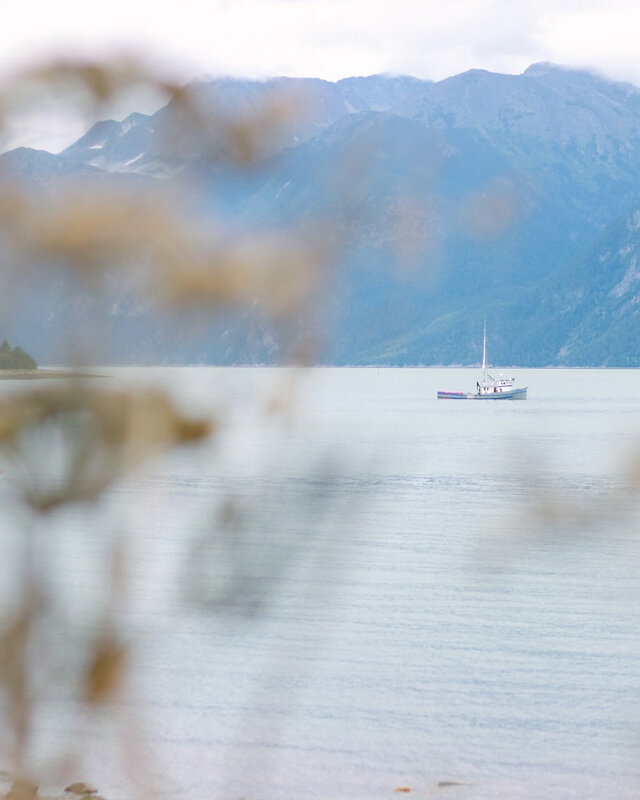 After our trek through Yukon Territory, we arrived back in good old America, but I have to admit that Haines, Alaska is like no where else I've ever been in America. This was one of the cutest little towns I've ever been to, with a stunning view to top it off. Not to mention, after 16 hours of driving, I finally saw a wild animal! I had been chanting almost the whole way, waiting for a bear, moose, ANYTHING to pop out of the woods...and I got nothing. 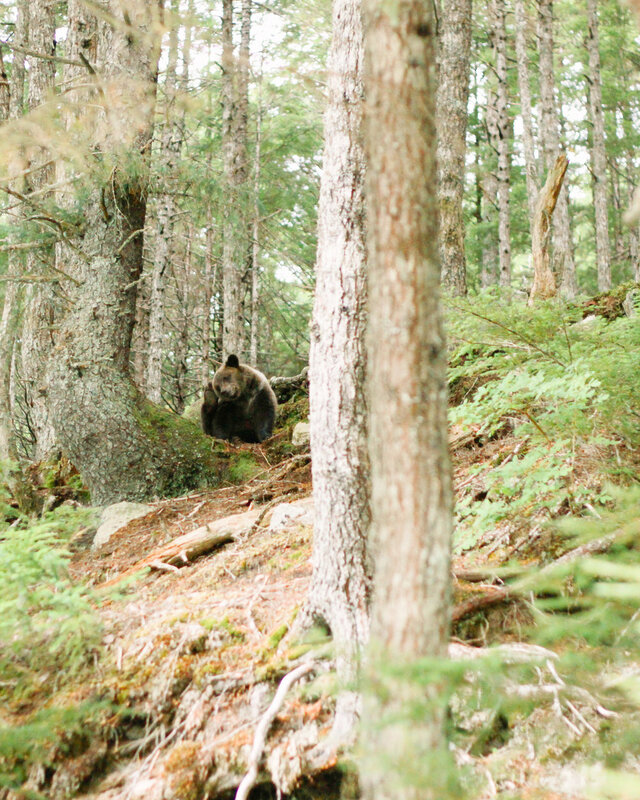 I'm so happy we got the whole day in Haines to explore and in a last ditch effort before hopping on the ferry we took a drive and saw a Mama and baby bear! Don't worry, we stayed in the car...and yes, the man just standing there is probably insane. 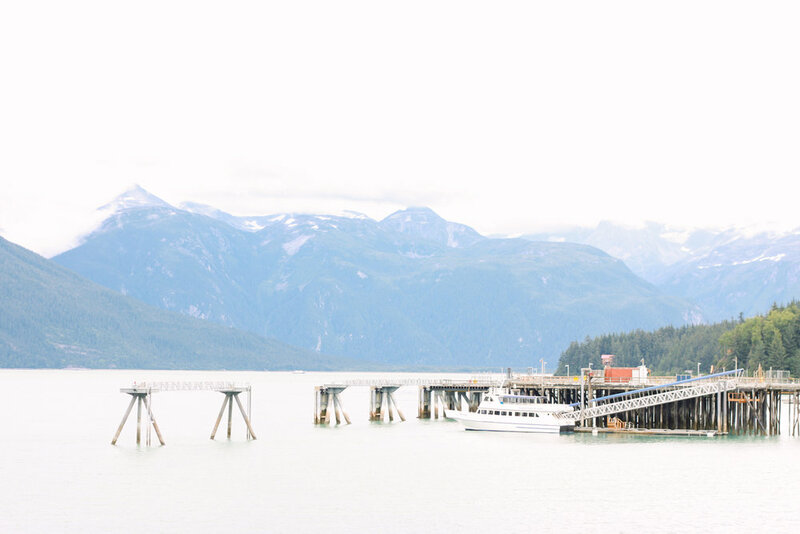 If you're ever in Haines, Alaska to catch a ferry to Juneau, Skagway, Washington, etc (because, sadly, that's usually the only reason to go to Haines) we highly recommend at least giving yourself a day to explore Haines. It's small (less than 2,000 people), but has so much to offer. I'm already dying to go back! We really enjoyed stopping in the Mountain Market Cafe for some coffee and baked goods (my pumpkin cookie with cream cheese frosting was fabulous) and popping in all the adorable shops full of handmade items and fun souvenirs. We also recommend going off the beaten path a bit, if you have a car, and heading out to the fairgrounds. It looks deserted when you first pull up (if you're not there in July) and we thought we were in the wrong place at first (the last two pictures before the bears above). 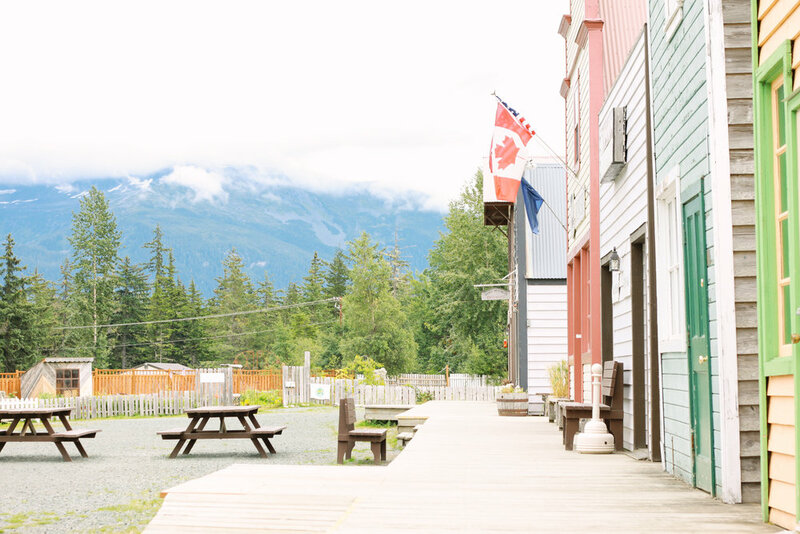 We stopped in Haines Brewing Company to grab a growler of the beer I'd just tried and loved, to take with us. After that, we were hungry and curious about the little ghost town we'd found so we decided to stop in Klondike Saloon and Restaurant just so we could hang out a little longer. Oh my goodness. It's a cute little place, and the waitress informed us that the fairgrounds were actually the set for White Fang. Kinda cool, but the best part was the pizza. Oh the pizza! Hands down in the top 5 pizza we've ever had, if not the best. Haines, I will be back soon for more pizza and a refill of my growler full of Spruce Tip Ale. Promise.